Welcome to the new myGVMH Health Portal, your secure, online health management tool that allows you to access your medical information 24/7. What can you view with the myGVMH Health Portal? For more information or assistance, call 660-890-7133 on Monday-Friday between 8 a.m.-4:30 p.m.
Once you have provided an email to Registration, you will receive an enrollment letter via email. •In the email you receive, click on the temporary link and select a new login ID, password and define your security questions. •The temporary link is good for thirty days. If you are unable to complete enrollment within that timeframe, please use the sign-up link. •You will have access to information related to services you received on or after 12/1/18. Some results are restricted from the portal, but are still accessible upon request from Health Information Management. •Your information will be available within 36 hours of service. 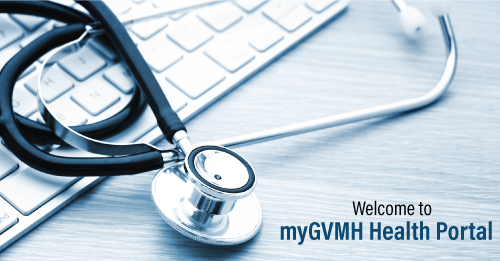 •You will be notified if any new information has been added into your myGVMH Health Portal account via email.